With the next-generation 2019 Silverado on the way, we find out if the 2018 model is still relevant. With a new wave of full-size pickup trucks coming from General Motors and Ram—not to mention the recently refreshed Fords—it’s worth asking if the outgoing models are basically over the hill, obsolete in the face of the future. Why fork over a big chunk of change for the 2018 Chevy Silverado when a next-generation 2019 model will hit dealerships by the end of this year? 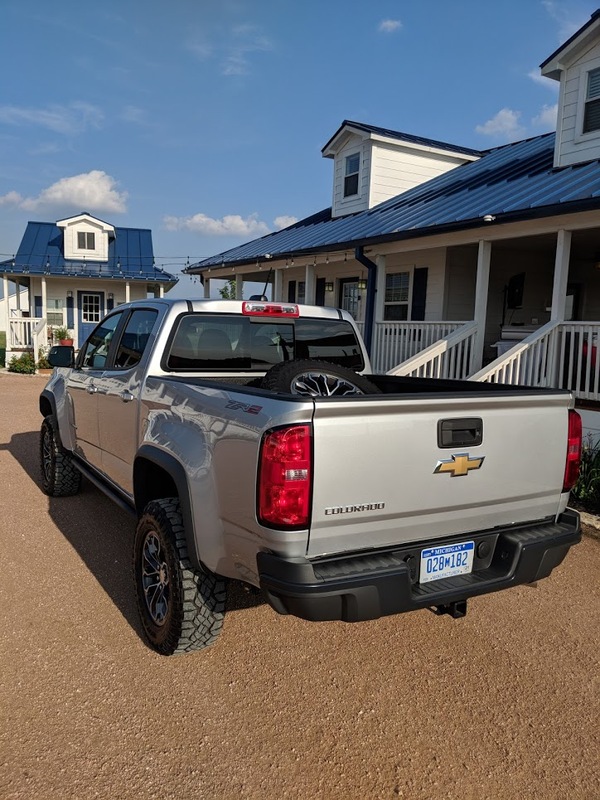 I set out to answer to that question when Chevy invited me to drive its current lineup of full-size and midsize trucks across barbecue country in Texas in June. The adventure began at the Gator Pit in Houston, a facility that makes barbecue pit trailers that can bring the brisket anywhere you want to go. Of course, you need a capable truck to tow these big, heavy things, and Chevrolet wanted to remind everyone that the outgoing Silverado can still tow 12,500 pounds with the right packages equipped. I didn't get a chance to do any towing myself, but we've written before about the truck's impressive abilities and smooth driving experience with a trailer attached. My seat time in the Silverado and Colorado was spent how more and more people are using pickups—going to get some grub with an empty bed and nothing out back. The 2018 Silverado 1500 I drove was the Realtree Edition. Now, despite having grown up in rural Wisconsin, I’m not the kind of guy who would normally want camouflage on my vehicle. That being said, the use of camo inside and out of this truck was surprisingly tasteful, with realistic accents used on the hood, front doors, tailgate, and in the bowtie emblems. On the inside, camo appointments continue in parts of the dash, center console, and doors. The Realtree Edition is only available on 1500 Crew Cab LTZ Z71 models, making it appropriately off-roady for its target market. The model I drove was well appointed with heated and cooled leather seats, a smooth, comfortable ride courtesy of its 5.3-liter V-8, and Android Auto guiding me through unfamiliar territory. I didn’t do anything particularly rugged with this outdoorsy truck, but it served me well as a highway cruiser—and again, that's how many of these are driven. I will say, though, something that surprises me every time I’m behind the wheel of a big truck is how long it takes to stop. The brakes here didn’t seem to be in any hurry and I found myself hitting the pedal with more urgency than I normally do in a car. 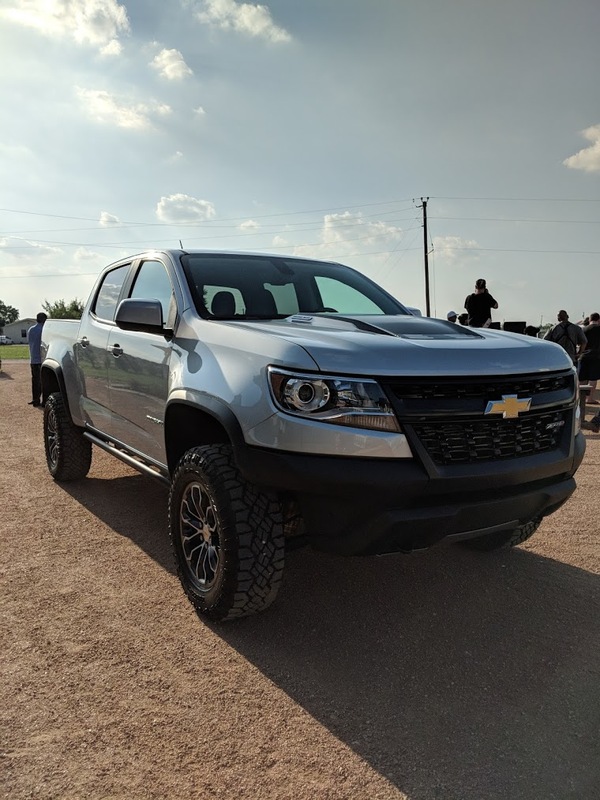 Moving on to the Chevrolet Colorado ZR2 was a little more interesting thanks to that magic model code, which adds a plethora of off-road goodies like locking front and rear differentials an advanced suspension system. Also, my ZR2 equipped with a Duramax 2.8-liter inline-four diesel, another fairly rare sight. Unfortunately, Chevrolet didn't arrange any off-road activities with this highly capable machine, but it was still worth seeing what a purpose-built truck would be like to live with in normal, everyday driving. With the exception of the Goodyear off-road tires being a bit noisy, the ZR2 actually behaved itself quite well in city and highway driving. It has all the same virtues of a standard Colorado like a roomy, comfortable cabin with modern tech, and the lovely, torquey Duramax diesel moves the truck along with more than adequate hustle. The ZR2 package may be designed to give it better ground clearance and more aggressive approach, breakover, and departure angles, but it also just makes it look way cooler than the base truck. But I must admit, even at six feet tall, the ZR2 is a bit of a chore to climb into. So why did Chevy have me driving through Texas barbecue country? For starters, Texas is the biggest market in the country for pickup trucks; a Chevy rep told me that one in five trucks GM sells nationwide ends up on a dealer lot in the Lone Star State. Simply driving around Texas makes it obvious that people just really like trucks down there. As for the 'cue, sure, some truck owners love it so much they might feel compelled to buy a mobile pit, and it's nice to know that a vehicle can fit a lifestyle. But the custom-made trailers at the Gator Pit start at around a thousand bucks and go up sharply from there—an unintentional parallel to the new truck market? A new class of truck buyers has emerged in the last decade. The high-end pickups that so many people are eager to spend so much money on are luxury vehicles cleverly disguised as a workin’ man’s truck. The prices keep climbing and people keep paying. That means the kind of person who drives a well-appointed Silverado is also the kind of person in the market to spend a few grand on a mobile barbecue pit. And don’t get me wrong, people who want nice things and can afford them absolutely should be buying them. More power to them. But it makes me wonder about the direction the truck market is headed. Will you still be able to buy a cheap, stripped-down truck with a rubber floor and crank windows in a few years? I think we’re getting closer to a world where the only folks that buy those kind of trucks are contractors and business owners who just need a truck to make a living. As for the more casual truck enthusiasts, they’ll continue to gladly spend well over fifty grand to haul their $2,000 BBQ pit around. With each generation, the humble pickup truck gets more tech, more features, more capabilities—and more expensive. It's also worth noting that the design of the 2019 Silverado is fairly significant departure from the squared-off look seen here. In more than a few ways, that means the outgoing 2018 Silverado is the last of its kind, and for some buyers that may be more important than the inevitable year-end discounts to make room for the new stock. This truck still has its charms, and it still does everything a pickup is supposed to do.